While many foreign residents arrive in Mexico for a time and return to their home countries within a few years, a significant number of expatriates do stay in Mexico long-term — perhaps for work or lifestyle reasons — but more usually when their partners and families have settled here, or when they retire. If you’re in Mexico for the long-haul, at some stage you might choose to take your residency status to the next level: naturalization. Naturalization is the process by which you apply for and, if successful, subsequently adopt Mexican Citizenship. you can own property situated near coasts and land borders in your own name without the need to operate a bank trust (fideicomiso) — which can save you thousands of dollars in fees over the years — although some people choose to operate a trust for estate planning purposes. There are a few matters you should be aware of in regard to becoming a Naturalized Mexican. Following your naturalization, while you are in Mexico, you are not allowed to seek consular protection by virtue of your ‘other’ nationality; so if you become caught up in any problems with the authorities you cannot rely upon your home country’s Consulate to support you. 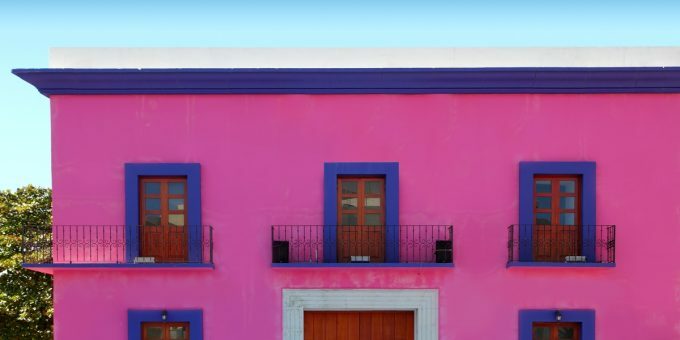 Depending on your country of citizenship, you might have to surrender your home country’s passport – and citizenship – when you acquire your Mexican nationality. (This is rare: most countries allow their citizens to hold dual or multiple nationalities.) You should also check with a financial adviser about the implications that your naturalization may have on your personal and business tax affairs. The procedures which lead to Mexican naturalization demand a number of requirements for qualification. These depend upon an assortment of factors such as your links to Mexico, your current immigration status, and how long you have been physically resident here. 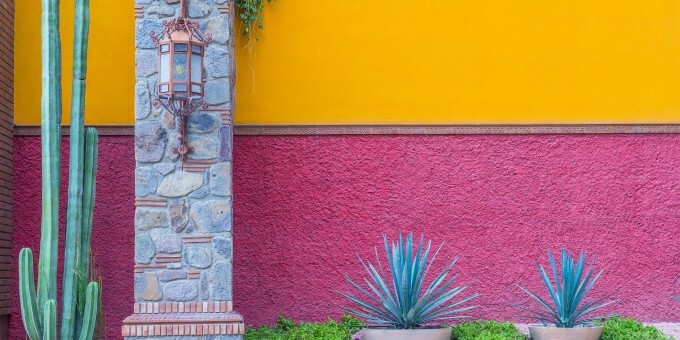 Our Mexico Immigration Guide includes a chapter that covers these details; a good immigration lawyer can also help you establish your eligibility; or you might consider using our Relocation Consultancy Service for a consultation to talk in detail about your situation. Once you file the application, the procedures take about a year to complete, and may take longer in some cases. Toward the end of the process, you will be asked to sit an exam. In years past, the exam consisted of studying 100 “multiple choice” type questions, answering 5 and getting at least 3 correct. Since January 2018 the exam process has been revised to test your knowledge of Mexican culture and history, and a reading comprehension exam to test your Spanish language. Minors, those over sixty years old, and refugees are exempt from the exam: proving that they have a basic grasp of Spanish in conversation at the naturalization interview will suffice. At the completion of the journey that leads to your Mexican naturalization, you will get a handshake from an official at the SRE (Mexico’s equivalent of the US State Department), and a Naturalization Certificate. With this certificate in hand, you may apply for your Mexican passport and, just as importantly, your IFE card (known colloquially as simply, el IFE) – that is technically a voter registration document, but also serves a de facto National ID Card in Mexico. The card incorporates features such as scanned fingerprints, holograms and other security devices. It’s the size of a driving license and is thus readily portable. For detailed information about how to apply for Mexican Citizenship (including details about the new exam and its study guide), download the Mexico Immigration Guide. If you need detailed advice about your specific circumstances, you might consider using this Mexico Relocation Consulting service. You can also find extensive guides to living in Mexico here on Mexperience. I am a naturalized US citizen. Can I become a naturalized Mexican citizen ? will I lose my US Citizenship ? Can a naturalized Mexican citizen live outside of Mexico for indefinite amount of time without losing the citizenship? 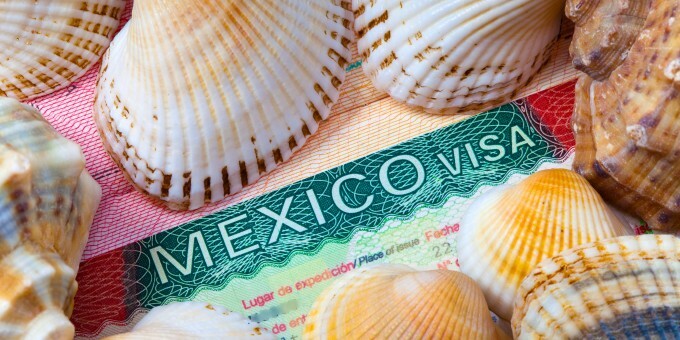 Once acquired, you do not have to remain resident in Mexico to retain your Mexican Citizenship. You never lose it unless you renounce it. hi, one question i am about to apply for Mexican citizenship after staying in Permanent Resident status for few years. My question is aftre getting Mexican citizenship am i eligible for TN visa that allows to work in USA lie any other Mexican and Canadian citizen? You need to direct that question to the US Consulate / State Department. Which countries are required to be renounced? What documents do I need to submit to Mexico government if my country is one of the countries required to be renounced? Or just simply turn in passport of my country of birth to Mexico government during naturalization? Your answers are much appreciated. Thanks. You need to contact your country’s consulate / State Department to ask about the policy for the country in regard to multiple nationalities. If you need to surrender your passport to acquire a different nationality, they will tell you what the procedure is to do that. I was born in Mexico and became a US citizen when I turned 19 years old. I also decided to make a few changes on my name once I became a US citizen. My question is: Can I obtain my Mexican citizenship back? whats the process since my name is no longer the same from my birth certificate. I am a Ghanaian and married to a Mexican. I naturalized 2 years ago. I had to renounce my country of birth, of which I did. I love Mexico and also my country of birth. My question is can I use my Ghanaian passport outside of Mexico when traveling or I would have to use my new Mexican passport? I would like to visit my country next year and I don’t want to end up with any problem at the airports. If you still have a Ghanaian passport, then presumably you are a dual-national. 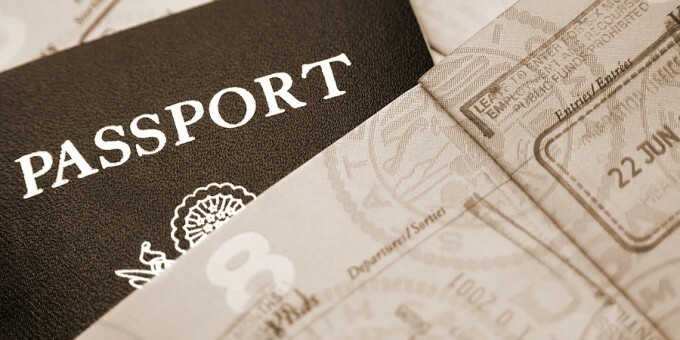 Most dual-nationals use their Mexican passport when leaving and re-entering Mexico and their other passport when entering/leaving their home country. Some countries require that you show both passports when entering–you would need to check with the Ghanaian consulate about that. What is the renunciation of your country of birth (Ghana) for Mexican naturalization like? What steps did you have to go through? Did you have to submit any proof to Mexico government for your renunciation of Ghana citizenship? I wanted to know how stringent the requirement of renunciation of country of birth in the Mexico naturalization process? You need to be physically in Mexico to renew your Mexican residency card/status, and you need to physically in Mexico to apply for naturalisation (citizenship). These procedures cannot be undertaken outside of Mexico. I had a child in Mexico, and I registered him with Mexican citizenship (I’m in the status of a tourist). If I leave from Mexico, can I be the parent of a Mexican child to apply for permanent permanent residence in a country of my own by contacting the consulate of Mexico? 2) If I return to Mexico as a tourist and a child as a Mexican citizen can I be refused entry to the country by a migration officer at the airport? As the parent of Mexican child, you do not have to leave Mexico to exchange your visitor permit (FMM) for a residency permit. My wife’s parents were born in Mexico, but she was born in the u.s. is it easier for our family the get a permenant Visa or dual citizenship? I am a professional looking to become a naturalized citizen in Mexico. Can you give me any information on their rumored points system? The Points System was referenced in the 2012 Law; however, it has never been formally introduced and, as of spring 2018, there is still no information about it. It’s effectively unavailable as a route to application for residency, and we have no information about when it might become available. Excuse me does your guide 2018 includes a better study guide than the bibliography posted on SRE page? Or is the same? Because I haven’t been able to find anything new about the current exams. Only the old 100 questions thanks. I too am looking for the possible 100 questions for the updated SRE 2018 exam. As of this date almost 40% of the 10 question test, are NOT within the Bibliography provided by SRE. (as reported on an independant expat site). This makes it very difficult to study for the test when the content give is over 1000pages and counting. Thanks for your comments. The exam is very new and we have no further details about it than what is published by the Ministry of Foreign Relations (SRE). One of our associates is assisting a client with the new exam as part a naturalization application and, based on that real-life experience, we will be able to publish additional information in due course — likely by late summer. I’ve been living in Baja Norte for 5 yrs, no visa only random 7 day tourist visas, I am marrying a Mexican in Mexico. Where is the best place to start getting legal? After marrying a Mexican national you will be able to apply for residency right away and (if you want to afterwards) you can then apply citizenship after 2 full years of permanent residency. Probably Mexicali, B.C. since it is the capital of Baja and all of the government offices are there. Near the “registro civil” in Mexicali there are private practices that can assist and help speed up the process. I did it some years back and it took alot of patience as well as many mexican pesos. Also, make sure you have a relatively clean background in your country of origin or you may encounter problems when applying for mexican citizenship. I am 67 from USA. I will apply for naturalization in May. Do I need to have my birth certificate apostilled in Oklahoma and the translated into Spanish or vice versa? I live in AZ so it would be easier to get the translation done after it is apostilled. Also I have been in and out of Mexico during my five years with permanent residency. Will my application be denied because I have spent more than 180 days outside of Mexico during the last two years. I am 65. Do I need to be in Mexico for 16 months out of 24 as one of the conditions in order to become a citizen? While you are exempt from the exam at 65, you must still qualify under the other criteria which include having to be physically in Mexico full-time for the period leading up to the application. Other than very occasional and brief visits abroad (for a short holiday) you should ideally be in Mexico for at least the last 12 months. I have read that naturalized Mexican citizens cannot do some things natural born citizens can, like: serve on a mexican aircraft as a pilot or cabin crew or join the military in a time of peace. Can you please clarify? Thanks! Trying to gain a Mexican passport. My father is born in Mexico and my mom in the US. If I need his passport, can I obtained his birth certificate without him even if he is still living? He is uncooperative at times. You can make an application for nationality (and thereafter, apply for a Mexican passport) based on your Father’s Mexican nationality. You don’t need his passport, but you will need a copy of his Birth Certificate which can be acquired from the state where he was born. My father lives in Mexico and my mother is with me in the US, both of my parents were born in Mexico, but I was born in the US. If my mother doesn’t have her papers but she’s working on them, can I still get dual citizenship through my dad who is still living in Mexico? I was thinking to use my dual citizenship to reduce my cost of tuition as well other things. Hello, I was born in Mexico and moved to the US when my parents divorced. During the divorce my name was changed to my mothers maiden name. I have my original Mexican birth certificate but the name on that document is different than my drivers license and US passport. Do I have to go to Mexico to change my name on my Mexican birth certificate? Do I need to hire an attorney in Mexico to do this without going to Mexico? This question may seem silly, but if I have had my permanent visa for 1.5 years, which I got after having the temporary visa for 4 years, and I have been married to a Mexican national for 2 years, would I be able to start my naturalization process now, or do I have to wait until I’ve been with my permanent residency card for 2 years? I’ve basically been a resident here for 5.5 years. The law doesn’t seem to be clear about that. Hi Cameron, you would most probably have to have 2 full and continuous years of permanent residency status before you can apply for citizenship as a foreign resident married to a Mexican national. HI, I can’t find any information on how and when the ebooks are delivered, or what format they are in. Can you help me with this? Thank you for your question. Our Mexico eBooks are delivered in PDF files and you can download them immediately after payment. Our eBooks Shop sends you an email with an encrypted link that enables you to download the eBook file(s) to your computer. Can i get visa or mexican citizenship with investor like start business??? Even with an investment route, you will need to have Permanent Resident status for five years before you can apply for citizenship. I’m looking for information to gain Mexican citizenship. I have a son from a Mexican national. He was born in Mexico and has both US and Mexican citizenship and passports. Can this benefit and expedite the naturalization process for me or will 5 yrs be the standard. Thank for any assistance. Normally, you would have to be married and living in Mexico to qualify for the shorter (2 year) nationalization period; although you might qualify for the exemption if your dependent son is Mexican. 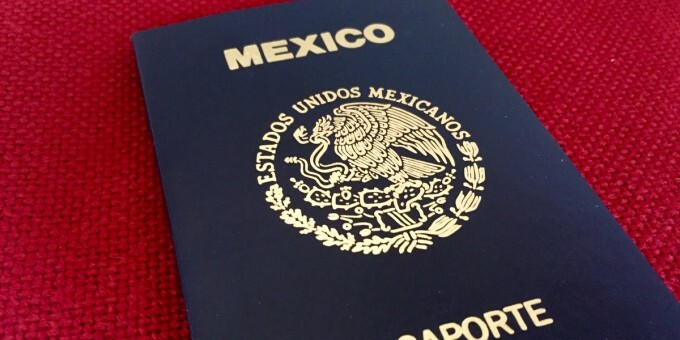 Please kindly advice me , how long can I use my permanent resident before applying for nationality in Mexico? I understand that when applying for Mexican Citizenship, the applicant cannot be out of Mexico for more than 180 days in two years. Is this correct or has the number of days allowed out of country changed? That information is correct: when applying for Mexican Citizenship, the applicant cannot be out of Mexico for more than 180 days in two years. Hi Ben, if you married a Mexican national outside of Mexico (e.g. in the USA) then your US marriage certificate will be valid as proof, but you will need to get it apostiled by US authorities (contact State Department for details) for it it be recognized in Mexico. As a foreigner married to a Mexican national you need to have permanent residency status for at least 2 years to apply for naturalization. my mom was born in Mexico. I was born in Detroit. I would like to obtain Mexican citizenship. What do I need to do? My son was born in the usa and he just got his Mexican Citizenship. I want to buy property but i need to know what we need to do for him to make ME a citizen. Is this possible and how? Any links? i am fluent in spanish but the consulate web site is no help. Emma: you need to live as a legal resident in Mexico at least 2 years before obtaining the Mexican citizenship. Your child can have it immediately because she’s the daughter of a Mexican. He only has to register her in the nearest Mexican Consulate. I’m a French citizen and I’m married to a Mexican citizen. We recently decided to move back to Mexico and I would like to get the Mexican citizenship. Do I have to get a FM3 before requesting the citizenship? We also have a 2 year old daughter and we’ve been living together for about 3 years in Mexico and in Canada. If you are over 60, do you still need to be able to speak Spanish to get Mexican citizenship? I thought their was an exception in the past. At the age of 60+, you are not required to take the test, but there’s still an interview that needs to take place with an officer of the Ministry of Foreign Affairs, and the applicant will need to speak some Spanish at some point of the interview – so a basic conversational grasp is recommended.